Outside strong blocks design enables the tyre to follow the road's surface more closely, hleps to reduce blocks deformation while speed corneringand enhances steering precision &better grip. Inside wide rib grooves ensures effective water dispersion.Sequential bolcks design improves tread rib hardness, enhances braking performance. Wide rib grooves effectively removes water, provides shorter braking distances and safer handling on wet roads. 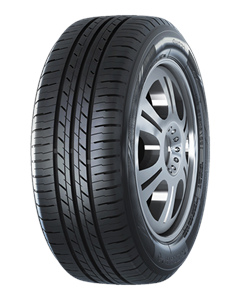 Racing compound technology provides superior grip performance on wet road surfaces. Very quick and friendly service. A puncture repair done while I waited in about 10 minutes, easily as good as any of the big National tyre fitting chains.